COLUMBUS, Ohio — Consumer spending for the holidays is up an estimated 10 percent this year. But amid plenty, hunger remains, particularly in Ohio. “One of the biggest misperceptions I’ve seen about hunger in Ohio is that people think it occurs only in very poor households,” said Pat Bebo, director of Community Nutrition programs for Ohio State University Extension. Families who earn more than the threshold for services such as the Supplemental Nutrition Assistance Program (or SNAP, formerly food stamps), the Women, Infants, and Children nutrition program, and reduced-price school meals still can have trouble putting food on the table, she said. And it’s more widespread than many people believe, added Irene Hatsu, food security specialist for OSU Extension. OSU Extension is the outreach arm of The Ohio State University’s College of Food, Agricultural, and Environmental Sciences. Ohio ties with Oregon as both the sixth-worst state in food insecurity and eighth-worst state in very low food security, which indicates a more severe problem: Food intake of household members is reduced at times, and their normal eating patterns are disrupted because the household lacks money and other resources for food. Put another way, 1 in 6 of Ohio’s 4.74 million households, or 764,000, reported food insecurity in 2013-15, and 313,000, or 1 in 15, reported very low food security. The youngest are among the hardest hit. 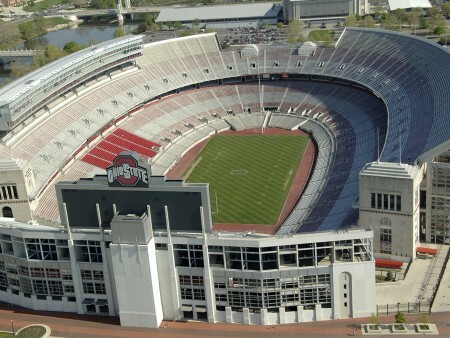 According to the Children’s Hunger Alliance, more than 630,000 children across Ohio live in food-insecure households — enough children to fill Ohio Stadium six times. As many as 1 in 4 Ohio children are unsure of where their next meal is coming from. SNAP benefits can help, Bebo said. But they only go so far. According to the latest figures from the USDA, SNAP benefits for Ohio households — with two members each, on average — come to just $250 a month. This time of year, food banks and pantries often enjoy a surge of donations. When donating food items, Bebo recommends giving the healthiest food possible. “That could be fruit canned in its own juices, canned vegetables or whole-grain cereal — shelf-stable products that have a higher nutritional quality,” she said. Other nutritious options include canned or dried beans, peanut butter, rice, pasta, and canned fish, stew, chili and soup. Monetary donations also go a long way. For example, the Mid-Ohio Foodbank reports it can turn $1 in donated cash into $10 worth of groceries to feed the hungry. Hatsu also encourages people to find ways to donate fresh produce to food pantries. Managers of grocery stores — or even convenience stores that sell small amounts of apples and bananas — could contact food pantries to make arrangements to pick up produce past its prime to give to families instead of throwing it away, Hatsu said. “There is a lot of food waste that occurs at the retail level, but much of that food could be put to good use,” Hatsu said. Even produce farmers who can’t harvest all their crop could contact food banks to see if volunteers could glean leftover fruits and vegetables instead of letting it rot in the fields, she said. In 2016, OSU Extension’s Master Gardener Volunteers started the “GROW Ohio — Feed the Hungry” initiative, in which Master Gardener teams were encouraged to donate produce they grew to the hungry, and to measure and report it when they did so. In the first year, 14 counties participated and recorded donating 46,198 pounds of produce, from 593 pounds in Stark County to as much as 10,386 pounds in Franklin County alone, said Denise Johnson, program manager. On an individual level, Bebo said, people can make a difference by contacting their legislators to voice support for safety net programs that enable families to put nutritious food on the table. “Advocating for these programs, or for a higher minimum wage, would assist families in becoming more financially stable,” she said. Anyone who needs assistance — or who wants to donate or volunteer — can find their nearest food bank on the Feeding America website, feedingamerica.org. For information about OSU Extension’s Community Nutrition programs, see fcs.osu.edu/programs/nutrition.